CLOSE TO 1,000 civil servants have applied to be transferred out of Dublin. Since a new scheme was launched in November 2017, which allows civil servants to request transfers to other parts of the country, 963 staff members based in the capital have asked to be moved. A total of 154 staff members have asked to move in the other direction. The majority of requests are from clerical officers, who are on the lower end of the civil service pay scale. These workers earn between €23,000 and 38,000. Of the figure of 963 looking to leave their job in Dublin, 541 were clerical officers. A total of 422 were executive officers, who earn between €27,000 and €49,000. 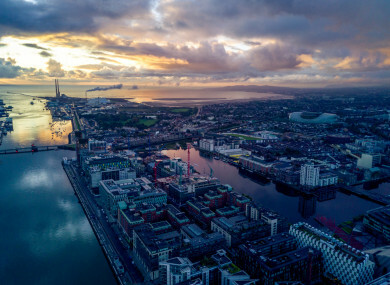 TDs such as Fianna Fáil’s Éamon Ó Cuív have said the demand by civil servants to leave life in Dublin is evidence that the spiralling costs of living, rent and housing prices as well as the long commute many face on a daily basis is making life “less attractive” in the capital. We have situation that I have never seen before where a couple with two very steady jobs can’t afford to buy a house. I believe house ownership and permanent tenure is vital for people’s wellbeing and for the stability of society. He said the reduction of starter wages for nurses, gardaí and civil servants has contributed to an unfair society where it takes a lot longer for younger people to reach their full earning potential. He called for full pay restoration immediately. The Civil Service Mobility scheme is divided into mobility zones rather than county or province. An applicant may express a preference for mobility for a maximum of three zones from the list of 46 zones. Staff members can apply for mobility within their current zone (excluding Dublin) as well as other zones. The next phase of the scheme is to allow civil servants who work in Dublin to apply to move jobs within the capital. This is due to be launched by Finance and Public Expenditure Paschal Donohoe at a later date. Email “Nearly 1,000 civil servants apply to leave Dublin”. Feedback on “Nearly 1,000 civil servants apply to leave Dublin”.